The apex court on Tuesday reinstated Verma as the agency chief but with a caveat that he will not take any policy decision till a high-level committee goes into the issue afresh. 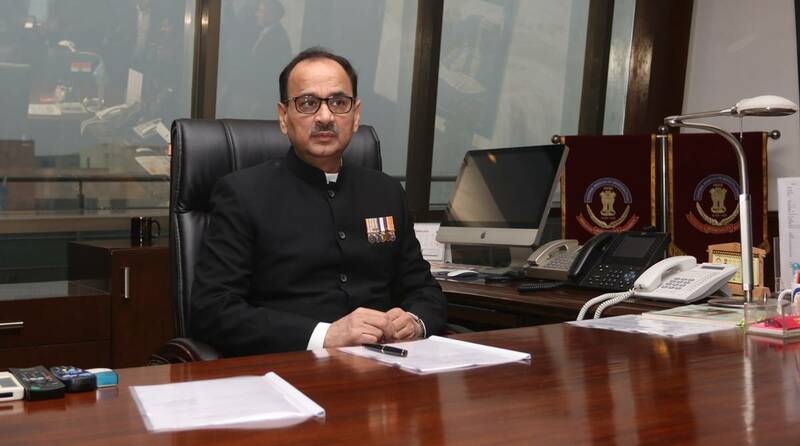 Reinstated Central Bureau of Investigation (CBI) Director Alok Verma resumed office on Wednesday, after over two months since the central government divested him of his powers and sent him on leave. Verma reached the CBI headquarters located on Lodhi Road at around 10.35 am, where he was received by acting CBI director M Nageswara Rao, who was appointed to look after Verma’s duties and functions. The apex court on Tuesday, reinstated Verma as the agency chief by setting aside the Central Vigilance Commission (CVC) and the Centre’s decision but with a caveat that he will not take any policy decision till a high-level committee goes into the issue afresh. Verma, a 1979-batch IPS officer of Arunachal Pradesh-Goa-Mizoram and Union Territories (AGMUT) cadre, was Delhi’s Police Commissioner before his appointment as CBI Director on 1 February 2017. He was sent on forced leave on the intervening night of October 23-24 along with his deputy – CBI Special Director Rakesh Asthana – following months of bitter dispute between the two. The two levelled corruption allegations against each other. In October, Verma lodged an FIR against Asthana on a complaint by one Satish Sana Babu, the alleged middleman in meat exporter Moin Qureshi’s case. Disposing of a petition filed by Verma and an NGO, Common Cause, a bench of Chief Justice Ranjan Gogoi and Justices Sanjay Kishan Kaul and KM Joseph said Verma would “cease and desist” from taking any policy decisions till the issue of denuding of his powers was decided by the High Power Committee (HPC) comprising the Prime Minister, Leader of Opposition and the Chief Justice. Verma’s tenure ends on 31 January.